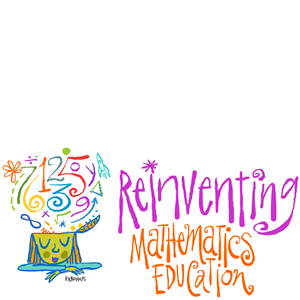 Reinventing Mathematics Education is a unique symposium addressing challenges in teaching mathematics and exploring opportunities you may never have considered. The day features a balance between a theoretical understanding of how children learn to think mathematically and the implications of a technologically sophisticated society on the future of schooling. Our keynote speakers are among the best thinkers, scholars, and practitioners in the world. Conrad Wolfram is involved in creating the tools mathematicians and scientists will use to invent the future. Constance Kamii brings her fifteen years of work with Jean Piaget to teachers concerned with students constructing arithmetic knowledge. Ilana Horn works to create productive contexts which sustain a collaborative culture for learning mathematics. You will not only enjoy listening to these speakers, but may learn with them too in a workshop setting! While Reinventing Mathematics Education is intended for K-8 educators, administrators, and policy-makers, its focus on critical thinking, problem solving, and using modern tools for making sense of the world makes the event appropriate for any educator interested in meeting the challenges of the 21st century. 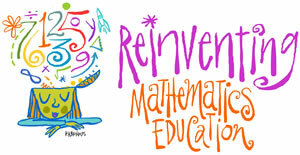 Reinventing Mathematics Education is hosted and sponsored by The Willows Community School and is a production of Constructing Modern Knowledge, LLC. Constructing Modern Knowledge is an educational services, event, and publishing company that runs the annual Constructing Modern Knowledge summer institute and publishes books for creative educators under the CMK Press imprint.